We currently live in Florida, but have called many places home. For instance, 36 years ago, my husband and I were married in Fairbanks, Alaska and our most recent move was from a home in Panama’s mountains. Prior to that, we called EvenStar, a Gemini 105MC catamaran home. I earned a B.A. in English from Calvin College, which is in Grand Rapids, Michigan. As noted above, 36 years ago I married my husband, who also happens to be my best friend. We have two daughters, one son-in-law, two grandchildren and a wide assortment of feathered and furry characters, who we call ‘family’. The first two books of the Chatterre trilogy are out. In Star Bridge, Nimri an herbal healer and Chatterre’s new Keeper of the Peace, must safeguard her tribe from their bitter rivals. To do this, she must find her ‘magic core’. Many light years away, Colonel Larwin Atano, an elite Guerreterre Shadow Warrior, fights to save his intergalactic star-fighter. Despite all efforts, he crashes. Larwin perceives Chatterre’s resources as a means to gain power and prestige and views the planet’s inhabitants as a minor inconvenience. 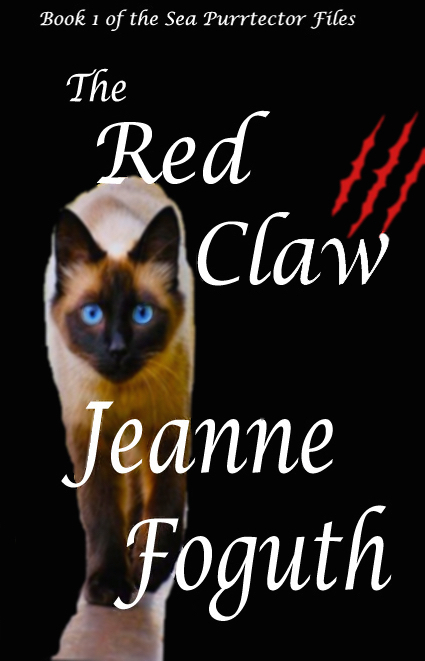 In December, 2014 The Red Claw, which is book 1 of The Sea Purrtector Files, debuted. Xander de Hunter, is Catamondo’s Sea Purrtector. During his youth, Xander “The Kamikaze” de Hunter gained fame in Catamondo’s kickboxing tournaments. By age 5, Xander organized techno-savvy cats and created Catamondo’s first interactive website, which was a reowsing success. When, he and his family moved aboard sailing vessel, Whispurring Winds and Catamondo’s Council created a new office and Xander to be the first Sea Purrtector. Thus The Kamikaze organized his new position utilizing all the advanced technology available aboard: single side-band radio; satellite phones, marine radio and of course, the Internet, which he’d become skilled at. Before I learned how much I love writing Sci-Fantasy, I wrote three contemporary suspense-romance books: Deadly Rumors, Fatal Attractions and Passion’s Fire. I have always enjoyed writing, but IMHO, I officially began writing when I was 17 and Flower and Garden published some tips I sent them. After the birth of our second child, my husband and I decided that one of us should be an ‘at home parent’. Since his benefits were better and I could work free-lance, we decided that he would continue working. About this time, we purchased our very first PC a Delta Gold, with a 10 mg hard drive. We thought it had more space for data than we could ever use. Yeah, we laugh about that, too. Anyway, while I was an at home mom, I wrote policy and procedure manuals and computer user manuals, but I was also frustrated and needed an emotional outlet. So, I started ‘playing’ with fiction. The first book was dreadful, but I had fun writing it, so in between freelance contracts, I studied and practiced writing fiction. My novels are character driven, therefore, each one seems to take on the protagonists’ character. Various ways. 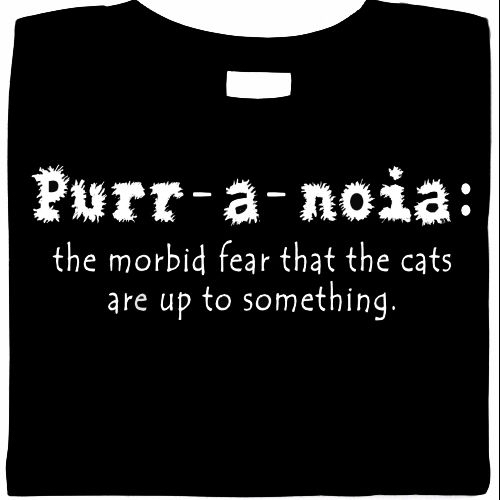 For Purr-a-Noia, I saw a T-shirt on Pinterest. That we should accept others for the individuals they are instead of pigeonhole them according to gender, height, weight, education, religion, coloring, politics, nationality and/or any other superficial pigeonhole people seem to use. In other words, treat others the way you want them to treat you. LOL, that depends on if you believe cats are techno-savvy or that madrox (cosmic dragons) live in the sun’s corona. That said, Nimri’s herbal knowledge is real, ditto for the realistic relationships between characters. The Sea Purrtector Files were written in memory of Rom, who I think was the best cat ever. In fact, the Siamese cat pictured on the covers of The Red Claw and Purr-a-Noia is Rom. I love the books by J. R. R. Tolkien, James Clavell and Judith MacNaught. While none of them were particularly prolific, they all wrote books that would keep me up all night. I just downloaded Callie by Sharon Srock, but have not actually started reading. I enjoyed the first three books of F.P. Spirit’s Heroes of Ravenford Series. I also enjoyed Denise Liebig’s debut novel, Dear Maude and Jennifer Coburn’s quirky characters. At present, my time is divided between writing the first draft of Fire Island, which will be book 3 of the Chatterre trilogy and editing Purr-a-Noia’s rough draft. It always amazes me how a story can seem fabulous, as I am initially putting the words on paper, then, when I read it through, after it is complete, I usually wonder what I’ve been thinking when I wrote this or that. I also wonder where I learned to spell, and if I’ve ever heard of grammar… There is a reason the initial draft is call a rough draft. Purr-a-noia is book 2 of The Sea Purrtector Files is on schedule to come out in June. BTW, Purr-a-Noia is set in Haiti, land of voodoo and witchcraft and book 3 of the Sea Purrtector Files will be Vam-Purr. Can you tell that I love cats? My friends, who are great. In one shape or form, writing has supported me for about four decades. The main difference is that initially, I did technical writing, which basically gives facts and shares information. Now, my primary focus is on Sci-Fantasy, which entertains and shares emotions. Not any of the ones that are published … a lot will get changed before the two I am currently working on get assigned an ISBN. I think it was a natural evolution from my love of reading. Deadly Rumors – Kelsey MacLennan and Devlin Doran both want to make the world better. Doran believes the rumors about the MacLennans dealing drugs, so his goal is to bring them down. Kelsey MacLennan wants to make the world better, but her senatorial political campaign turns deadly and rumors abound, when the incumbent must win or be killed by his backers. Devlin Doran’s younger sister died of an overdose, so his goal is to prosecute pushers. Rumors abound that the MacLennans are high in the local drug network and he is targeting Kelsey MacLennan. Fatal Attractions – Ariel and Tempest Danner have escaped Tempest’s homicidal father for the sixth time in five years. Armed with new identities and disguises, they are determined that Fairbanks, Alaska will be a sanctuary where they can live in peace. Stone O’Banyon, their new landlord, has been divorced from a mercenary woman for three years. All his energy is focused on his job and Dolly, who would never hurt him. The last thing Ariel needs or wants is the attraction she feels for another tall, dark man, who seems hard as the granite he is named for, but the fascination will not go away. Stone isn’t any happier with his obsessive thoughts concerning Ariel. Things seem calm, then Ariel and Tempest catch sight of the man they had hoped they would never encounter and things turn fatal…again. Armed with new identities and disguises, Ariel and Tempest Danner are on the run, again. Will Stone O’Banyon, their new landlord and Fairbanks, Alaska be a sanctuary or a trap? Star Bridge – When Colonel Larwin Atano’s star-fighter crashes, he sees Chatterre’s resources as power and prestige. 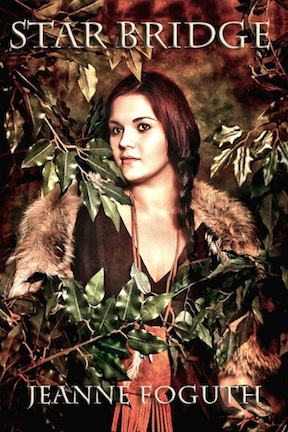 Nimri, an herbal healer, must protect her tribe and planet. 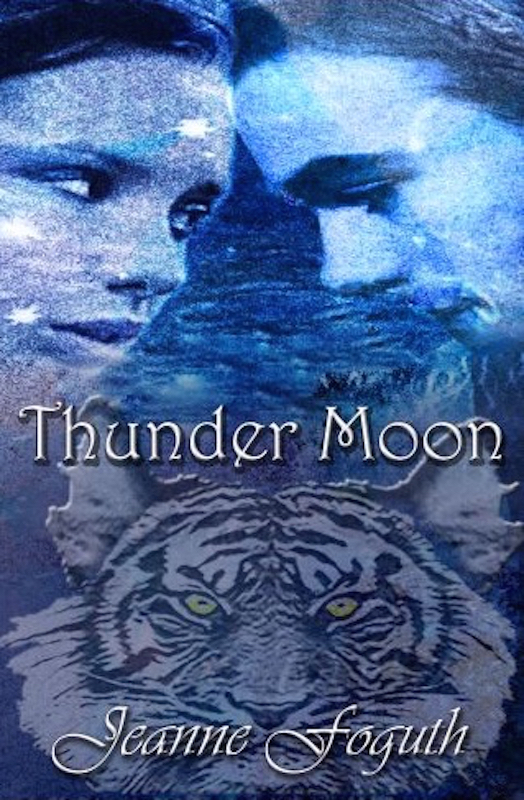 Thunder Moon – Thunder Cartwright dreams that madrox will invade Chatterre and destroy his world unless the star bridge is closed. The Red Claw – Dame Esmeralda, the Purrsident’s littermate, has been catnapped. Xander de Hunter, Catamondo’s Sea Purrtector hurries to Jamaica to help rescue her, even though Jamaica is one of Dogdom’s strongholds. Finding time and space to concentrate. I love J. R. R. Tolkien’s diverse characters and how individuals from such different backgrounds can bond and become allies/friends; James Clavell for the rich texture of his historically based novels; Judith MacNaught for characters who do not limit themselves with social class, etc. Dan Brown, who write a mystery, which I never work out by mid-book. Learning to let the characters ‘drive’ the plot. 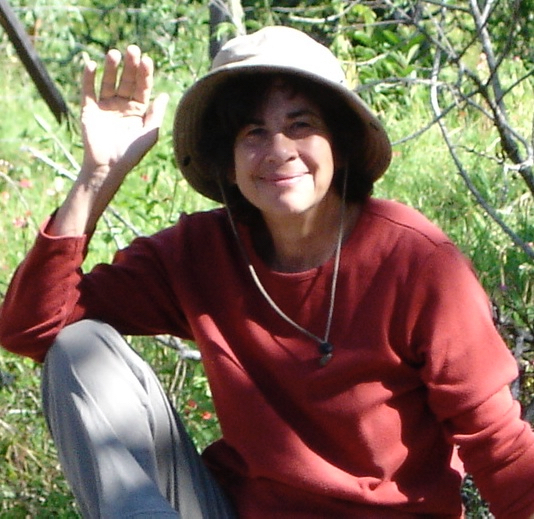 After writing three contemporary suspense-romance books, I wrote Star Bridge and realized that I preferred writing for a younger audience and in an unknown world. If you are writing a book because you love to write, by putting words to paper, you are a success. If you decided to write a book because you wanted to get rich quick, you might want to rethink your plan. The first book I recall my mother reading to me was The Little Engine that Could. The first ‘real book’ that I recall reading myself (3rd grade) was Gone With the Wind. If you want to be notified when new books become available and/or when titles are on sale, please write to me at j_foguth@yahoo.com and ask to be put on the announcement list. This is a ‘blind list’, so your information will not be shared with others. Laughter: when I hear the light-hearted sound of children laughing. Crying is easy, just watch/read the news and realize that we humans prefer to fight over differences instead of discover the things we have in common. Pick one? That is difficult and I do not have a name, but I would love to meet the designer of the Great Pyramid and ask him or her: 1) if there is a deep meaning to the mathematics used in the construction or if pi was simply used to strengthen the structure; 2) if the pyramid was build as a ‘gateway to the afterlife’, as some have theorized and if it was not used as a gateway, did it have some other function; 3) what type of technology was used to cut, move and stack those stones. LOL, I don’t want a headstone, I want to be cremated and have my ashes spread wherever the wind takes them. Yarn crafts, sewing, gardening and painting. On the rare occasion that I watch TV, I like The Big Bang Theory and House of Cards. I don’t have favorites, but there are some I am not fond of. For instance, I am not particularly fond of gray and I avoid listening to opera because when the soprano hits a high C, it feels like a spear in my ears. I love painting. Hmmm, perhaps I should clarify, since the last time I made that statement, the individual I was speaking to told me she loved ‘painting walls, too’. While I have been known to paint walls and even do murals, when I say paint, I mean on canvas and with oils.